We produce springs to specification, from the simplest to the most complex, which can be produced by our machines. We invite you to send us price requests regarding the production of springs to specification. The Van Hoa Company produces also springs having length 360 mm. These springs have no integrated ends and are not ground. These springs are intended to be cut to the desired length by the customer. 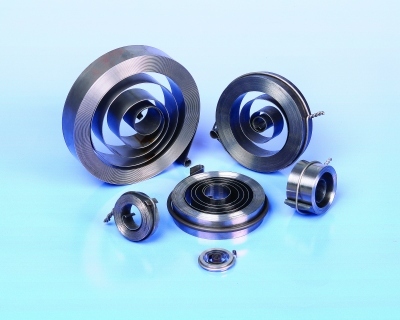 When ordering, you need only specify the material, external diameter and wire diameter for the spring. Example: C.032.032.3600.A is a spring made from 0.32 mm music wire and having external diameter equal to 3.2 mm. Vanel also produces extension springs having a length 360 mm. These are unfinished elements without hooks. They are intended to be cut to the desired length by the customer. When ordering, you need only specify the length, external diameter, material and wire diameter. Example: T.032.035.3600.A is a spring made from 0.35 mm music wire and having external diameter equal to 3.2 mm.